South Korea’s official name is the Republic of Korea. Like its neighbor to the north, the name Korea, originates from the ancient kingdom of Goguryeo and the name Choson or Koryo, which means “Land of the Morning Calm.” The modern spelling of Korea, or Corea, first appeared in travel writings by the Dutch East India Company in the 17th century. It was sometimes spelled with a “C” and some Koreans believe that after Japan annexed the peninsula, they intentionally standardized the name with a “K” so Japan would show up first alphabetically. After the surrender of the Japanese in 1945, the government controlled only the southern portion of the peninsula. The term “South Korea” was coined by the western world. South Koreans refer to their country as Han, or Hanguk. In stark contrast to North Korea, South Korea has done quite well for itself since the war. South Korea’s economy was one of the fastest growing economies in the world from 1960 to the late 1990s. This period of growth was known as, “The Miracle on the Han River.” Today South Korea is the fifth largest exporter and seventh largest importer in the world. Although it suffered severely during the Asian economic crisis of the late 1990s, it managed a rapid recovery. Additionally, South Korea was one of the few countries in the world, that avoided a recession during the global financial crisis of ’08 and maintained a low unemployment rate, of only 3.6%. South Korea is home to some of the world’s largest global companies such as: Samsung, Hyundai, SK Holdings and Kia, to name a few. They have a technologically advanced, transport network of high-speed rail, highways, bus routes, ferry services and air routes. North Korea is its only land border, so South Korea basically has to exist like an island nation. This country has an interesting taxi system as well. The level of service is based on the color of the car. A gray or white taxi is a basic car with inexperienced drivers, whereas a black car is a luxury cab, with an experienced driver. South Koreans love to shop. They are the world’s biggest users of credit cards and have some of the largest malls in the world. The malls in South Korea are open nearly all night. This may be because Koreans are hard workers. Most Koreans work an average of 55 hours per week. When they are not working or shopping, they may be drinking. It is perfectly legal to drink in South Korea and they top the list worldwide in terms of hard liquor consumption. Soju, a Korean rice liquor, is the best selling liquor in the world, even outselling Smirnoff Vodka, for over ten years in a row. Liquor is even sold in vending machines. Despite the drinking statistics, the Organization Co-Operation and Development (OECD), declared that South Korea is the country with the highest estimated Intelligence Quotient, (IQ) on earth. South Koreans are mostly Christians or Buddhists. The Yoido, Full Gospel Church has the biggest congregation in the world, with close to a million members. On a given Sunday, 200,000 parishioners attend one of seven services and an additional 300,000 watch the service on TV or in satellite churches. Christmas is an official holiday in South Korea, although Santa Claus may wear a blue suit instead of a red one. He is known as Santa Kulluso, or Grandfather Santa. Brides, by contrast, wear red, which is a symbol of good fortune. Speaking of holidays, Valentine’s Day is not an official holiday but it is celebrated quite differently than in the USA. On February 14th, women show their love by giving chocolates and gifts to their husbands and boyfriends. Then on March 14th, they celebrate White Day, where men are supposed to reciprocate, but should spend three times the amount that they received on Valentine’s Day. The 14th of nearly every month has a romantically themed holiday. There is Kiss Day in June, Hug Day in December and for single Koreans, there is Black Day in April, when they mourn their lack of love and eat sticky, black noodles. South Koreans also have some other interesting quirks, when it comes to birthdays. When you are born in South Korea, you are one year old. So, if you go to South Korea you are automatically one year older than you are now. It is also common to eat myeogguk, or seaweed soup. This highly nutritious soup is given to mothers just prior to childbirth. It is eaten on birthdays to remind their children of the pain of childbirth so that they appreciate what their mothers endured. Blood type is also very important, as they have beliefs based on one’s blood type. It is thought to be an indicator of someone’s personality and helps to determine compatibility. You should know your blood type before visiting South Korea, as you will likely be asked what type you are. Seoul is the vibrant, capital city of South Korea. It is home to five UNESCO world heritage sites, dating back more than 2000 years. Today, Seoul is a sprawling metropolis, a leading global city that ranks fourth in world in population after Tokyo, New York and Los Angeles. A leader in technology, Seoul ranks first as the world’s most wired city. It is home to over half of the South Korean population and receives over ten million international visitors per year. In South Korea there is also something known as “Hallyu” also called, “The Korean Wave”, which is pop culture and entertainment, essentially “the flow” of South Korea. It has a significant impact on the economy of South Korea as K-pop, K-dramas and K-food have taken the country by storm. Social media, networking and YouTube, have increased the popularity to the rest of the world. South Korean soap operas are the number one programs that are smuggled into its neighbor, North Korea. Do you remember the Gangnam style video that went viral back in 2012? (You should check it out.) Karaoke, called Norabang in Korea, is also extremely popular. As we look into the cuisine of South Korea, we see influences from the ancient, agricultural and nomadic traditions of the peninsula. It has evolved further from the cultural influences of its neighbors and the USA, after World War II. 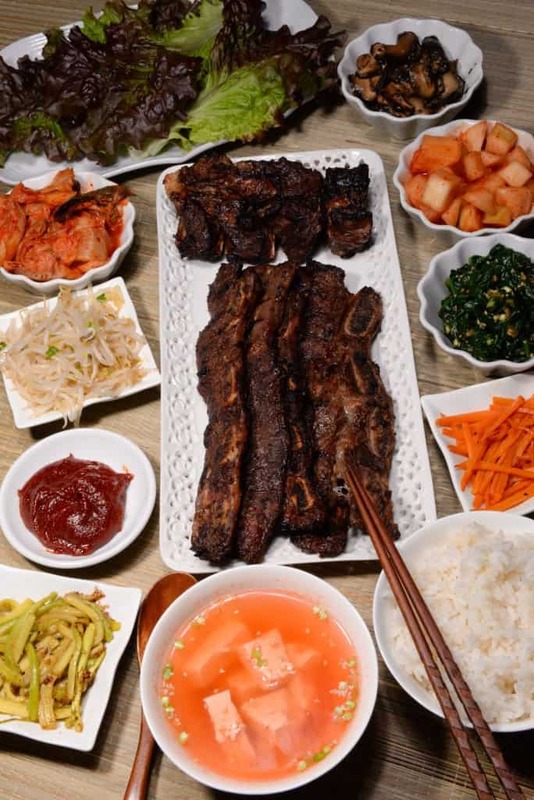 Like most countries, it has regional specialties but “The Korean Royal Court Cuisine” brought all of the specialties together for the royal family. Many feasts from the Royal Court Cuisine are described as the ultimate Korean food experience. Another interesting characteristic of the cuisine is called banchan, which means “side dish” in Korean. 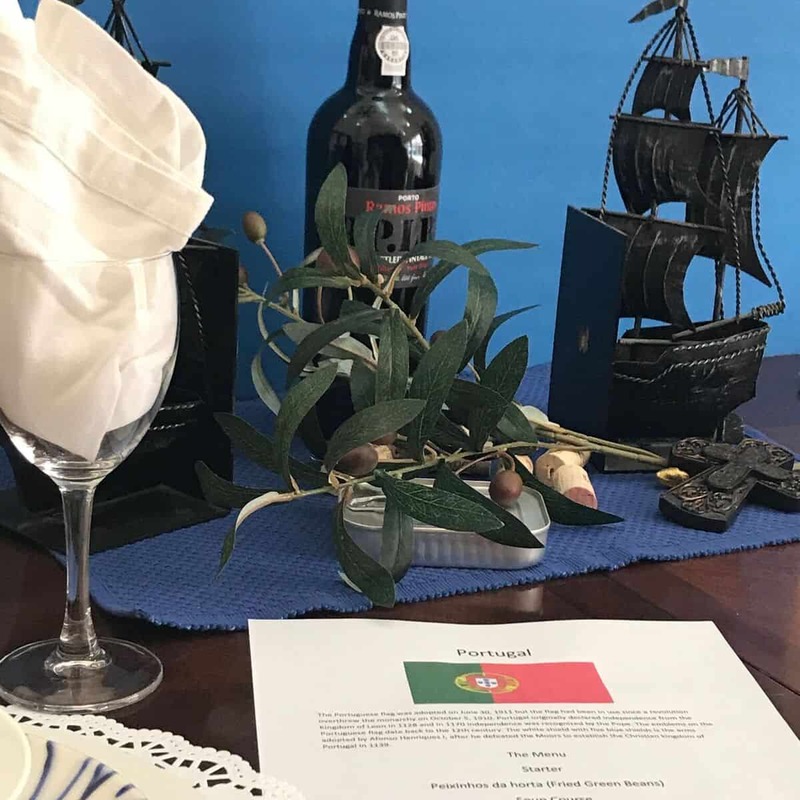 They are known to serve dozens of sides dishes with a meal. 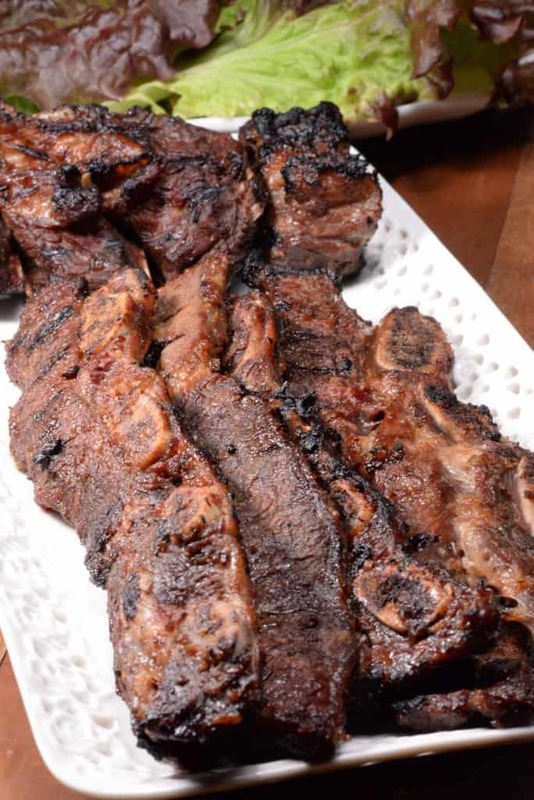 Served in small bowls, they typically accompany galbi or Korean BBQ, for which they are also famous. They often grill meat right in the center of the table and enjoy the meats with any number of vegetable sides, such as rice, guk (soup) or jjigae (stews). Kimchi is considered the national dish and is literally served, in one form or another, with nearly every meal. Kimchi is a fermented side dish made of vegetables and an assortment of seasonings. There are literally hundreds of varieties of kimchi made from napa cabbage, radish, scallion and cucumbers, as the main ingredients. Traditionally, kimchi was stored in large underground vessels to keep cool during the summer months and unfrozen in the winter months. It is estimated that the average South Korean consumes about 40 lbs. of kimchi per person, annually. It is highly nutritious with a lot of dietary fiber, low in calories and rich in vitamins, A, B1, C, calcium and iron. 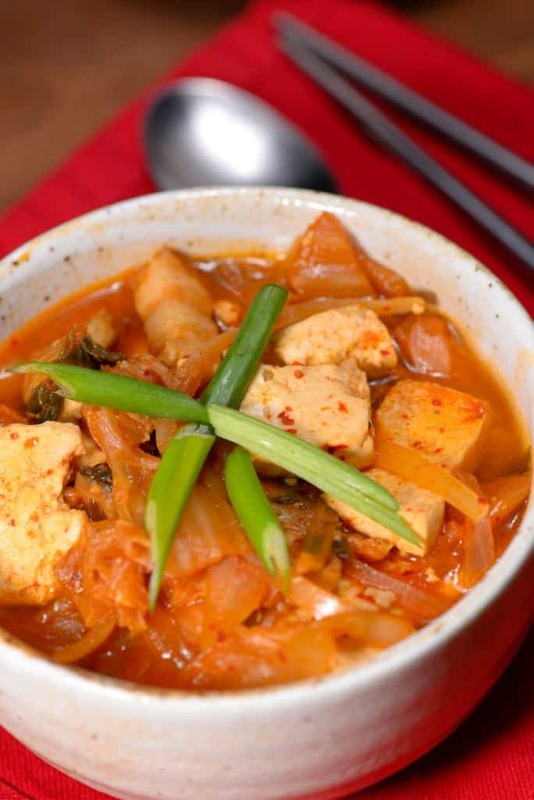 Kimchi also contains a lactic acid bacteria that is believed to protect against infection. Many regard that it is this dish alone, which accounts for the high energy level of its people. Common ingredients used in Korean cuisine include: sesame oil and seeds, doenjang (fermented bean paste) gochujang (fermented red chili paste) soy sauce, garlic, ginger, salt and pepper and Korean pepper flakes. Mung beans, are sprouts and are also considered a staple, along with cabbage, radish, green onions and seaweed. It is also known that Koreans love sweet potatoes (made into just about anything) and have a sweet tooth for honey. Their diet, with small amounts of meat and fish in comparison to the vegetable sides, is likely why the country has the second lowest obesity rate in the world, just after Japan. So let’s enjoy a Korean meal. We set the scene with the colors of the Korean flag; red white and blue. Their flag features the yin and yang symbol, called Taeguk, as well as four trigrams, called Kwe, representing heaven, fire, water and earth. Oddly, the number four is taboo in Korean culture and many elevators skip that number, so it is curious there are four trigrams on the flag. We also decorated with the tiger, their national animal and the beautiful hibiscus flower, called the Rose of Sharon. An appetizer was not served. (You will understand why shortly.) The soup, or stew course, is served with the meal, along with white rice. Chopsticks and a spoon were the utensils used for the feast. A typical Korean meal is enjoyed on a low table. Shoes are removed at the door. Proper etiquette dictates that the rice bowl is not lifted and the soup (or stew) is enjoyed with the spoon. Elders get the honor of being the first to eat. A toast, “Cangai” which means, “bottoms up” begins the meal. You should never pour your own drink; your dining partner is obliged to fill it as you hold your glass to receive it. If you were to fill your own glass, it would cause your host or dining partner to lose face; a big no-no in Korean culture. We began with a taste of the stew, called kimchi jjigae. It was outstanding. The kimchi and spiciness of the base, flavored with gochujang were excellent. Tofu and mushrooms were part of it, but the best part was the occasional bite of pork belly. There was something about the mixture of flavors that clearly made us understand why this is such a popular stew. Soups and stews are always served with rice. 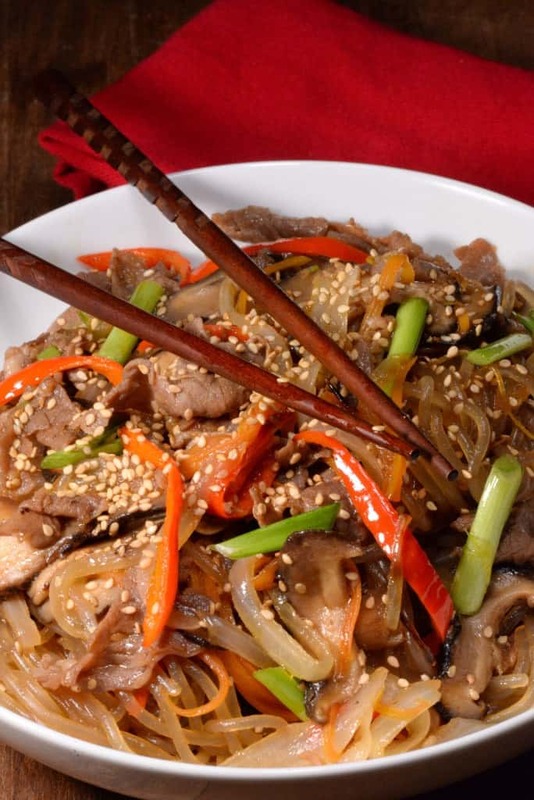 Another dish we enjoyed is called japchae. I wanted to make it because is it one of Korea’s best loved dishes, (plus I felt like I needed to make something to represent the sweet potato obsession.) It is made with sweet potato, glass noodles that were combined with vegetables (individually cooked first) and meat. This dish can easily stand on its own as a main course. What a feast! I am not going to tell you making Korean food is fast and easy. It is quite time consuming as they cook each little dish separately for the perfect cooking time and the perfect blending of seasonings. Is it worth the effort? You bet. It is absolutely delicious food! For dessert, we delighted in patbingsu. Although dessert is not all that common after a Korean meal, I felt like I needed to share a Korean sweet treat. 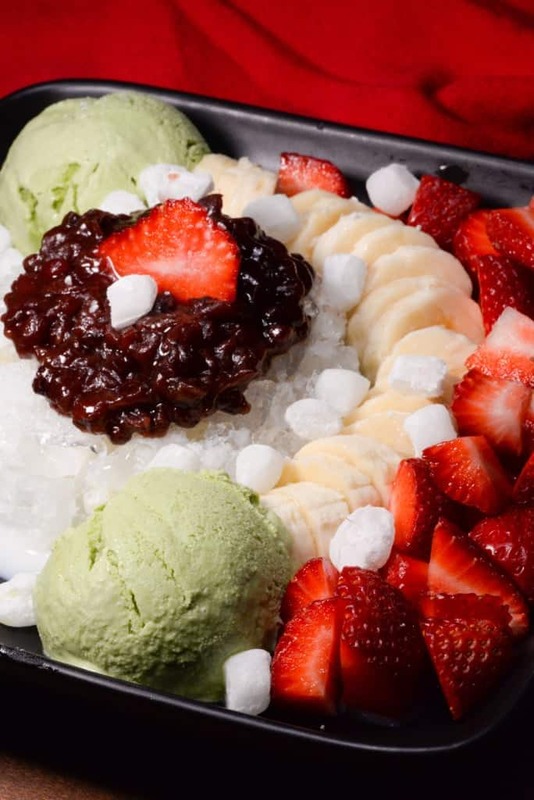 This dish is made of shaved ice that is soaked with sweetened condensed milk (really who needs chocolate?) and then topped with sweetened red beans and fruit along with a couple scoops of green tea ice cream. It is then topped with rice cake treats, which reminded me of little marshmallows; just another reason to fall in love with Korean food. This was yet another perfect ending to an International Cuisine meal. To work off our feast, we decided to try a little beginner’s lesson of Taekwondo. 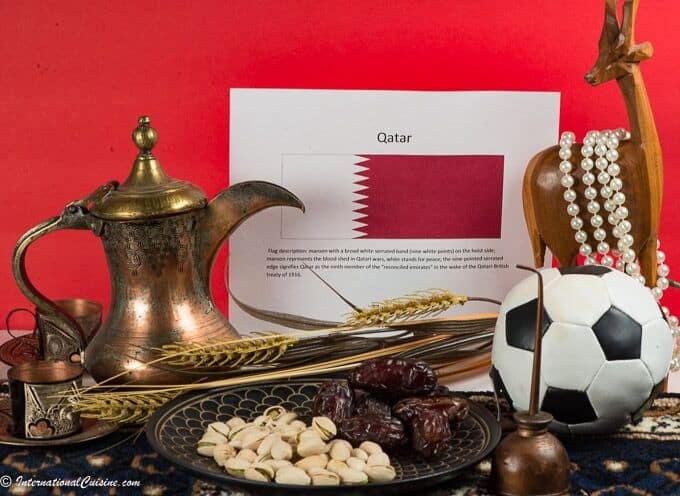 It literally means “the way of the foot and fist.” The name is new, having been used only since 1955, however its roots, date back some 2300 years. Taekwondo is a Korean martial art form and the national sport of South Korea. Aside from its effectiveness as weaponless self-defense, it is also a competitive sport and great way to stay in shape. Taekwondo is taught in school and utilized by the military. 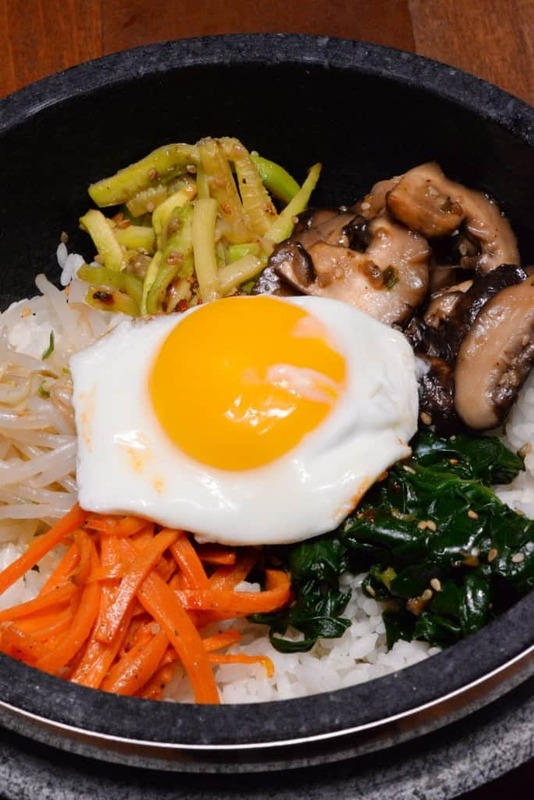 Bibimbap is another well- known Korean dish. This dish is often served in a stone pot that features the sound of sizzling rice getting an awesome crispiness at the bottom of the pot. The rice is then topped with an assortment of vegetables and sometimes meat is added. The word Bibimbap actually means “mixed rice.” I had leftover banchan from our feast and decided to include the recipe here, as it is another delicious Korean meal. A sunny-side up, fried egg is placed on top of each serving, along with a delicious spicy sauce made with the amazing flavors of Korea. Another keeper! As we say goodbye to South Korea, I leave you with a fun fact and a proverb. Go-saeng Gguet-eh nake eun da, literally means, “At the end of hardship comes happiness.” I thought this was an appropriate proverb after cooking all those incredible side dishes. Have you ever enjoyed a Korean meal with banchan? 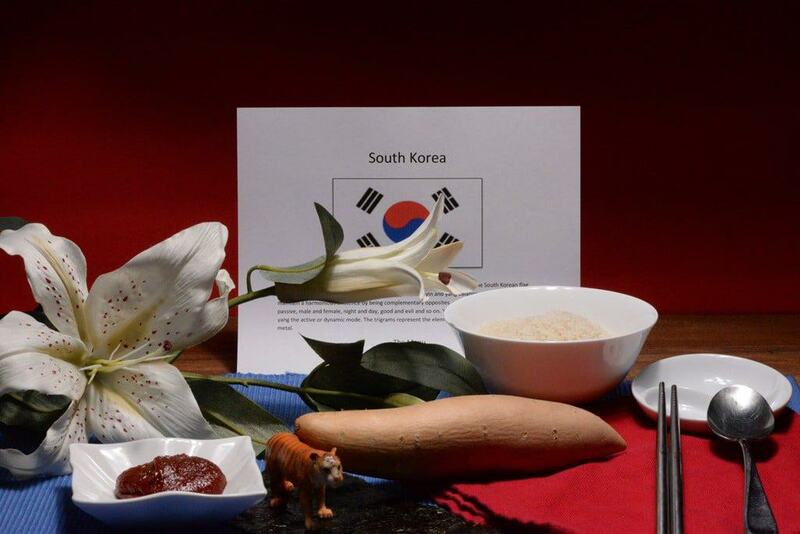 The food for South Korea looks amazing!! Thanks Amanda, it tasted amazing too! We loved every dish. I’ve traveled there, a lot. Your description and recommendations are on the mark. Couldn’t improve on your menu selections. I also enjoy Itaewon, the shopping district in Seoul I favor when in the market for discount bus tours of shrines, shoes made of eels and anything cashmere or fake cashmere. Thank you kindly for you comment Bo!